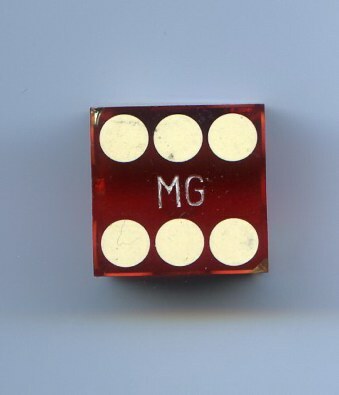 Ralph James Capone's monogrammed sterliing silver marcasite lapel/ tie tack. Ralph (Raffaele) James Capone, born January 12, 1894, in Italy. Also known as "Bottles", James Collette, James Brown and R.J. Capper. Like to be known as a horse owner. Had two tattoos on his arm. One in the inner and one on the outer forearm consisting of a heart and scroll over clasped hands and the other with the letters R C over a five pointed star. Historians and authors always like to dismiss Ralph as a low level organised crime figure which is exactly what Ralph was aiming for. He had seen close up the limelight his younger brother Al basked in and was eventually consumed by. Ralph didn't want any part of that, so he played it smart. Not that he didn't get caught and avoid prison. He did hard time and paid his dues for the mistakes he made and got caught for (Income tax evasion). It was hard not to be watched with the name Capone and being known as his notorious brother's keeper. Authors and historians make a big hoopla about the government going after Al for income tax when in fact this was no surprise at all. The government had been going after gangsters with he tax angle for years before and after Al starting with Ralph Capone, Terry Druggan, Frank Lake, Jake Guzik and Frank Nitti. Even after serving his time in prison Ralph was continually harassed by the government to pay more money. They were convinced he had stashed money and had other income apart from his $3000 a year job as bar manager for Billy's bar at the Rex Hotel. The government went after his Cigarette machine vending company at 8940 Ogden in Brookfield, Illinois. They seized 240 machines and 3 safes. At auction this netted the government $16,540 to pay off part of $223,294 Ralph owed the government. In the end and in death, Ralph Capone had the last laugh through legal delays and in avoiding to pay any money to the government. 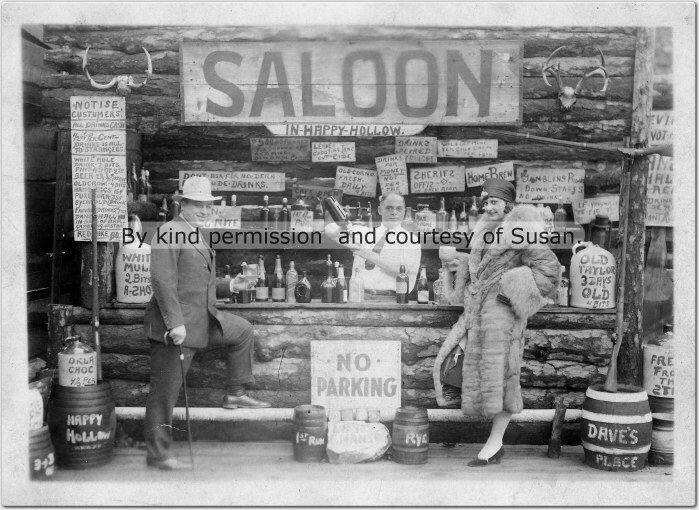 1926, Ralph Capone with a woman named Peggy in Hot Springs, Arkansas. 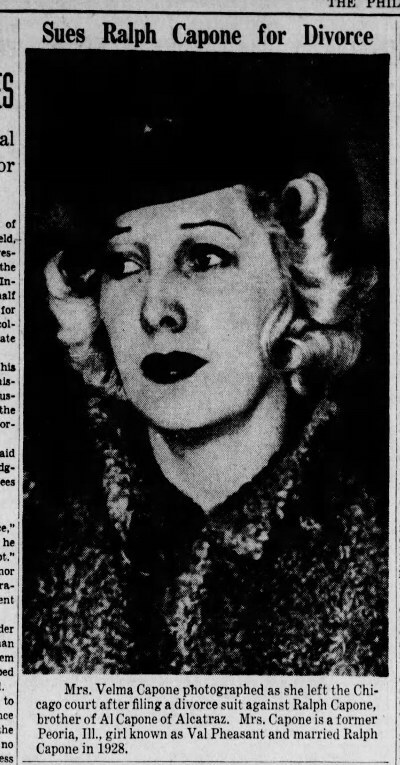 She was arrested with him in Cicero when the authorities proceded to raid gangster homes in search of the weapons and killers of Assistant State's Prosecutor William McSwiggin. Des Moines girl, Velma Pheasant. (The Philadelphia Inquirer, March 12,1938). (The Jackson Sun, May 9, 1938). Ralph came to Chicago in the early 1920's with Al and lived together in an appartment together during their rise in organised crime. 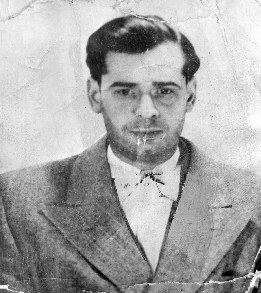 Al was the chosen one groomed by John Torrio to be the second in command of the Chicago Southside Italian mob. Ralph and Al had their entire family moved from New York to their new digs at 7244 South Prairie Avenue in Chicago. They even had their father exhumed from his grave in New York to be reinterred in Chicago. The Capones were a close knit family. It was well known that the Capone family disliked Mae, but Ralph who had a kind heart cared for her and Sonny after Al's death. Maybe not coming from his own heart but more probably because Ralph was a stand up guy and made his brother the promise of caring for them after his death. Ralph took care of all the funeral arrangements both in Miami and Chicago. Ralph could be seen giving beer to the thirsty reporters outside Al Capone's Miami home during his death vigil. 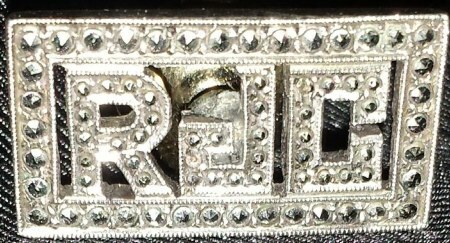 Back of Ralph J. Capone's pin. 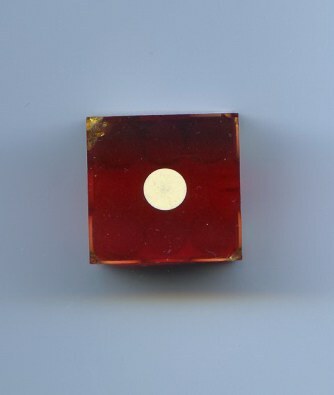 This was also used as a tie tack. Ralph was a man who like to be well dressed in the then latest fashions of the best made to measure suits, hats and jewelry. January 30,1928, picked up for vagrancy in New Orleans and discharged. February 5, 1928, picked up in Memphis, Tennessee for investigation. 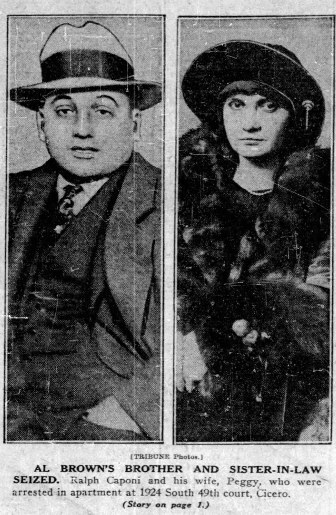 June 30,1929, Ralph Capone is arrested with 4 henchmen at newly re-opened Colosimo's. They are caught tossing pistols under the tables. Charges later dismissed. Ralph was caught a few times gun toting (1926,1927,1928), but always managed to beat the rap. 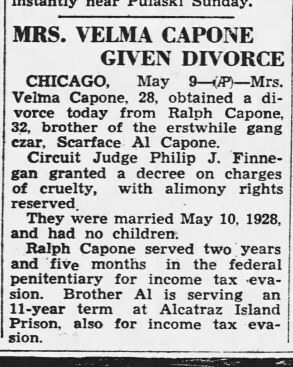 October 9, 1929, charged and indicted in Chicago for failure to pay income tax. Sentenced to three years in the penitentiary and $10,000 in fines. November 11, 1931, starts his term at Leavenworth Penitentiary in Kansas. December 10,1931, is transferred to McNeil Island Penitentiary in Washington to finish the remainder of his sentence. February 27, 1934, Ralph Capone is released from the McNeil Penitentiary. 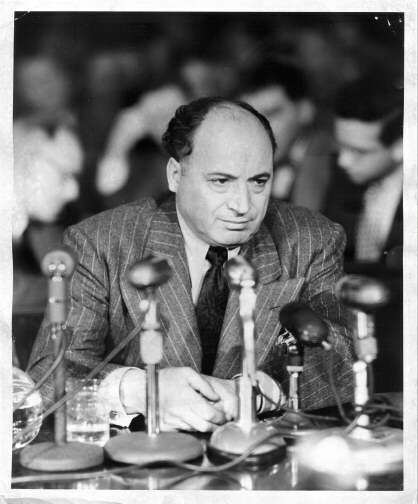 In fall/ Winter 1950, Ralph Capone is summoned to appear in front of Kefauver Senate Committee that was being held in Chicago. Ralph the true stand up gangster that he was didn't reveal any mob secrets, but skillfully answered to placate the senate questions on his associations and income. Ralph was a stand up mob member who never revealed any mob business to anyone, not even his family. Right up to November of 1965 the government kept at Ralph to pay his back taxes for the years 1926 to 1928. He told them he had no income to pay back the $206,754 still owed. He left the Federal building and looked across the street at some workmen demolishing the old court house where his brother Al was tried and convicted back in 1931. Ralph Capone in Florida standing next to his race horse. 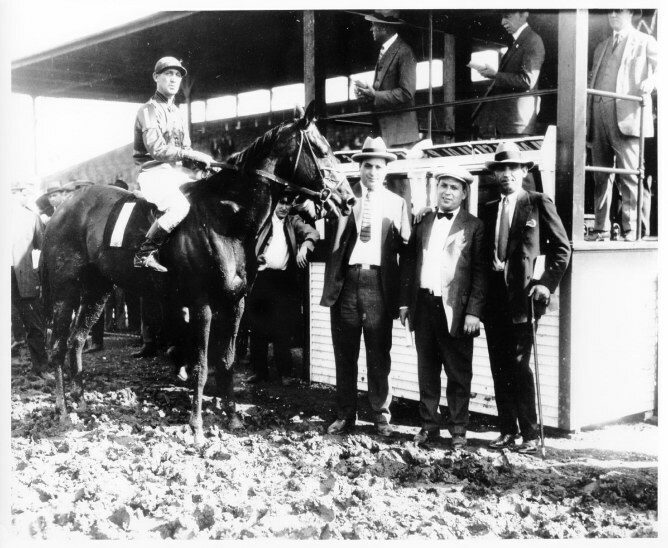 Ralph was a successful owner with his horse winning in the late 1920's to early 1930. When arrested Ralph Capone always listed his occupation as a horse owner. 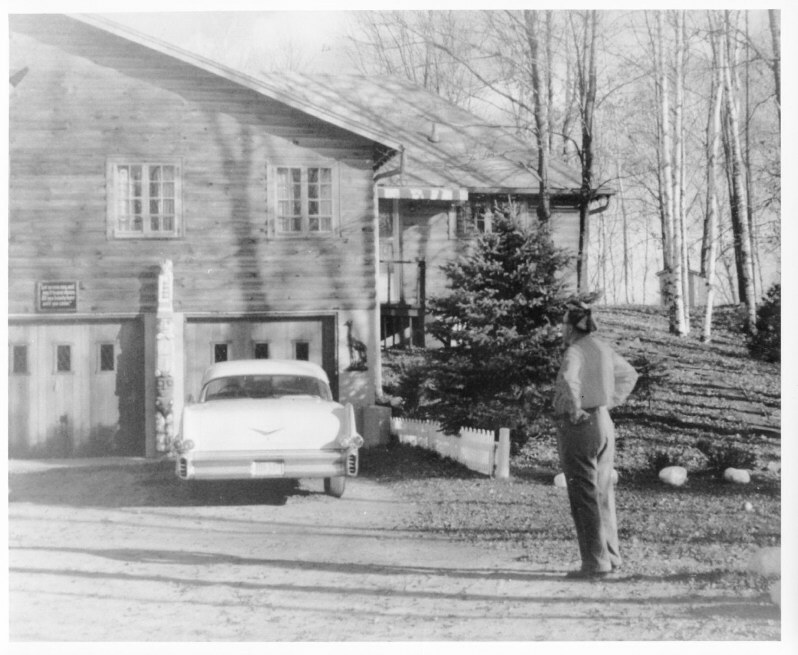 Ralph's son took his own life on November 9,1950. 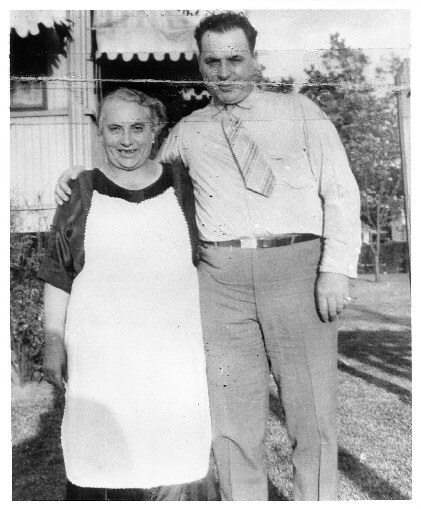 Theresa Capone and son Ralph. 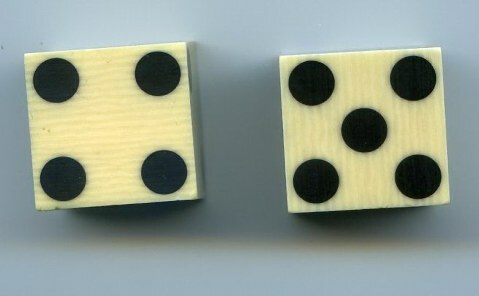 Dice from Ralph Capone's estate. Both Ralph and Al loved to gamble, whether for fun or money. 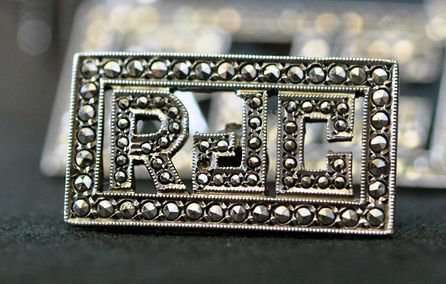 From Ralph Capone's estate. 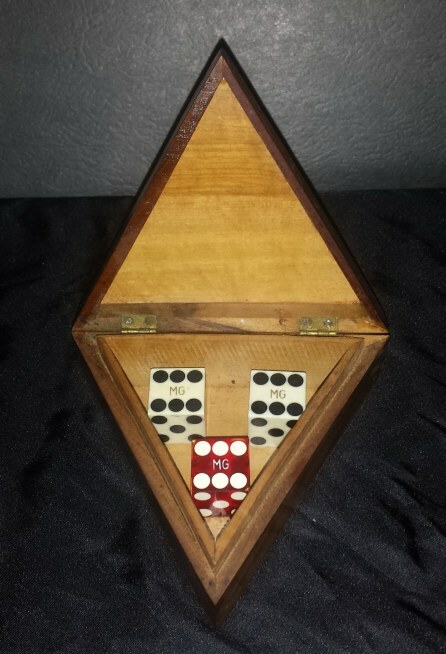 A 1930 Cuba souvenir box and some dice that were also probably from a Cuban casino. 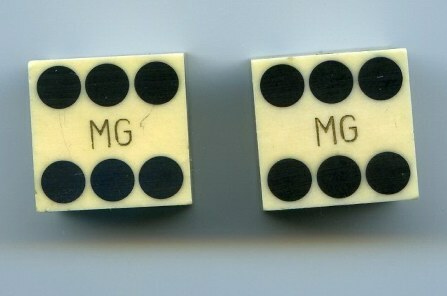 After a brief search, the only casino attributed to these initials was once in Cuba circa 1930. 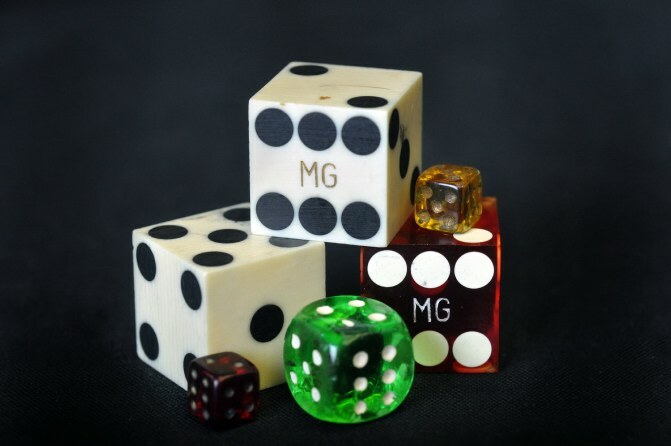 MG could be the initials for the owner of this Casino. 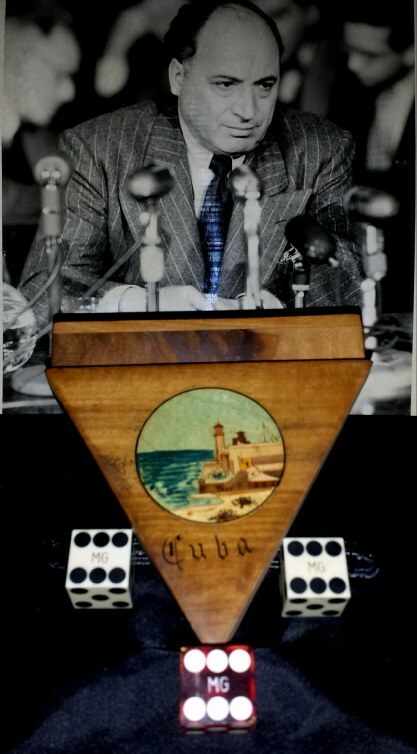 These were either brought back from Cuba by Al or Ralph Capone. 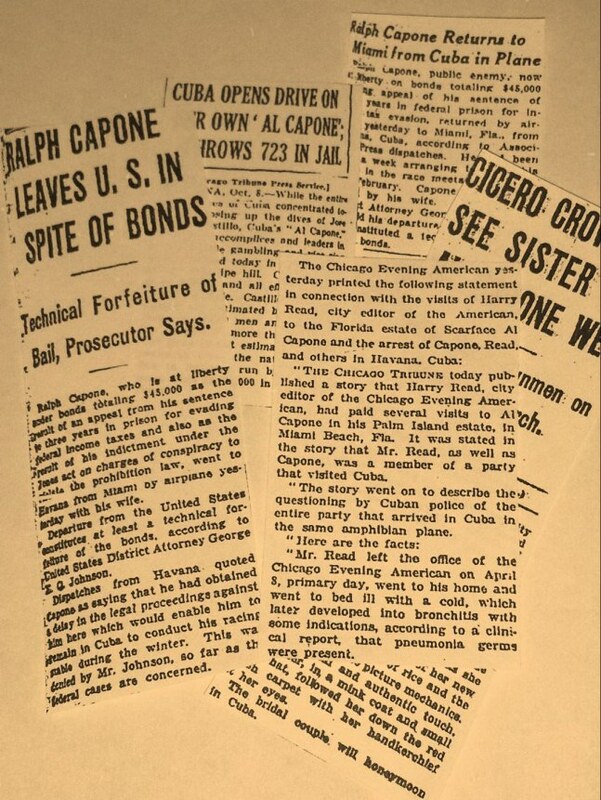 Various 1930 newspaper headlines mentioning the Capones in Cuba. 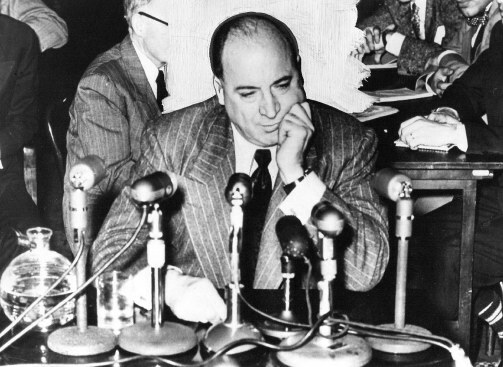 Ralph Capone appearing in front of the Kevaufer committee December 1950. "Let no one say and say it to your shame, all was beauty here until you came." 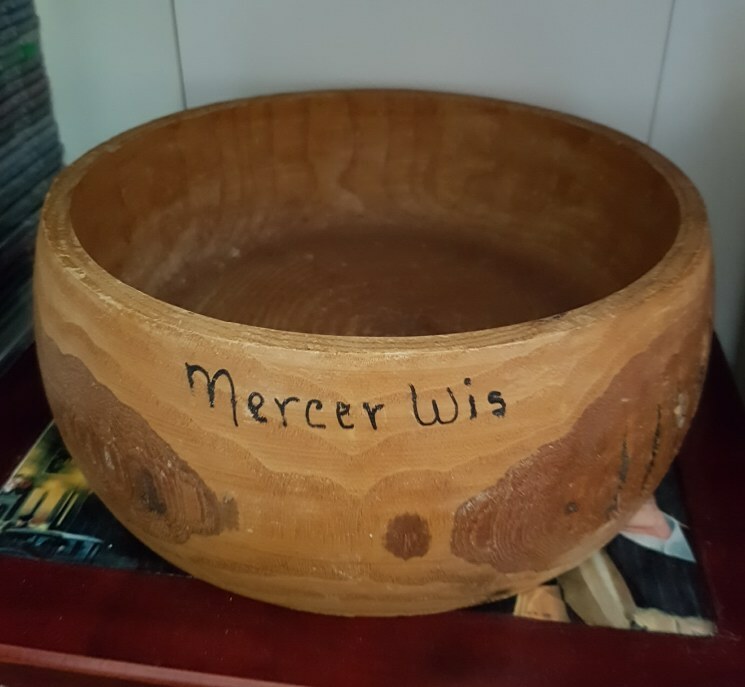 Wooden bowl from Ralph Capone's Wisconsin lodge. Living the quiet life. 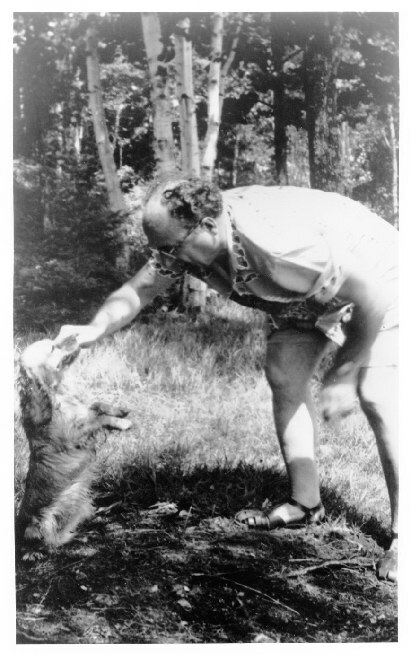 Ralph Capone as a tavern owner in his later years playing with his dog in Wisconsin. Maybe repentant for his gangster days, Ralph's then motto was "Malice towards none, charity for all." This was taken from Abraham Lincoln's second inaugural address. Throughout his life, Ralph just like Al, had a weakness for beautiful women and gambling. Ralph was married three times and had a son named Ralph Jr. who committed suicide in 1950. 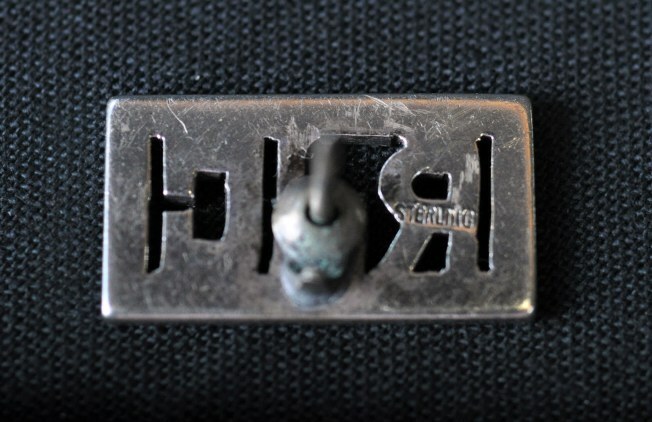 Ralph had went through alot of personal things in his life, but managed to keep it inside and dealt with the loss of his son and other members of his family. In a little notebook he kept the dates of his loved one's passings. He was very involved in the community in Mercer, doing charity work for the Lion's club and personally giving his time and money to help children's organizations. 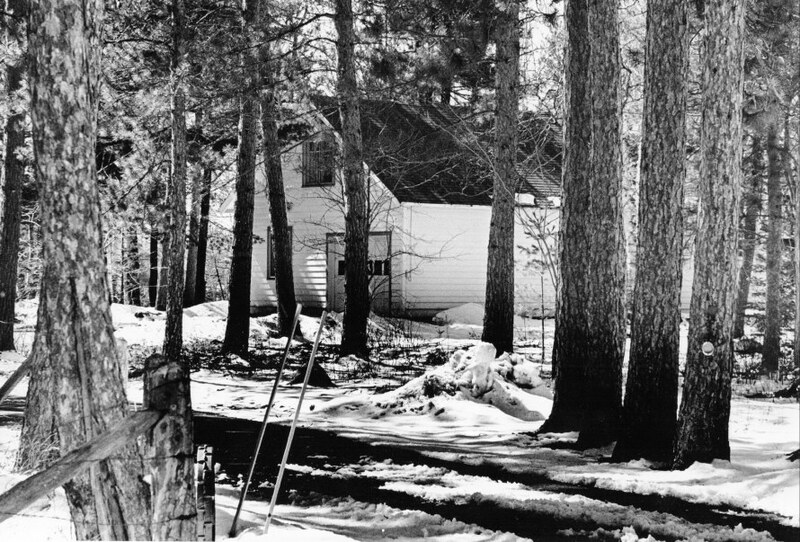 Ralph Capone lived in this modest apartment above the garage before being placed in a home. This photo was taken in 1972. Ralph lived out his last years in his beloved Wisconsin. It was a place of peace and friends. He entertained at Billy's and welcomed people who visited the bar and Rex Hotel. Meet a Capone was the order of the day at the time while visiting in Mercer. Even in his old age people said he had the air of someone who was still in charge and that commanded respect. 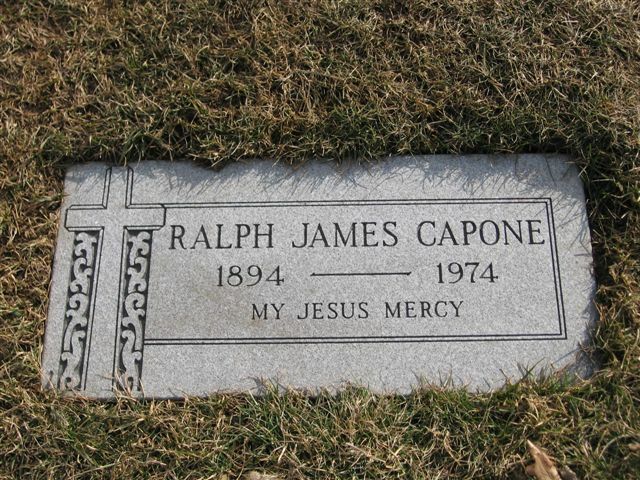 Ralph Capone was pronounced dead at 1:35 pm on November 22, 1974. He died at the Sky View Rest home in Hurley, Wisconsin. Cause of death was Cardiac failure brought on by heart disease. His ashes were interred at Park Hill Cemetary and later moved to the family plot in Mt. Carmel. In 2008, Ralph Capone Sr.'s (Al Capone's brother "Bottles") ashes were finally returned to the Capone family and interred at Mt. Carmel. He is now reunited with his mom, dad, brothers and sister, but more importantly with his son Ralph Jr.